What Are T8 LED Tube Lights? T8 LED tube lights are interior LEDs used to replace T8 Fluorescent lamps. There are three main types of T8 tube lights, with a combination style T8 LED tube available. Each LED tube option is defined by how the LED interacts with the existing fluorescent ballast. LED tube lights offer options that can use the existing fluorescent ballast or other options that can bypass the ballast completely. A ballast regulates the flow energy to the fluorescent lamp. 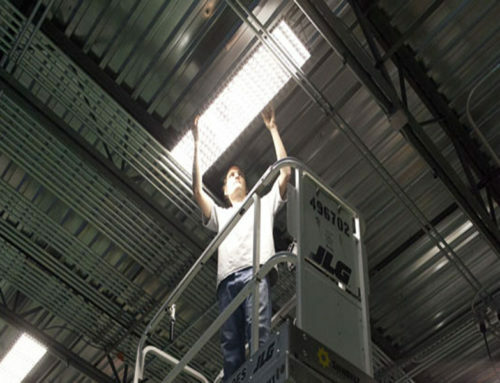 Fluorescent lights require an initial high voltage burst to start, with the ballast kicking in after to regulate how much power the fluorescent tube receives. LEDs use a driver to power the lamp and can come in a variety of sizes. 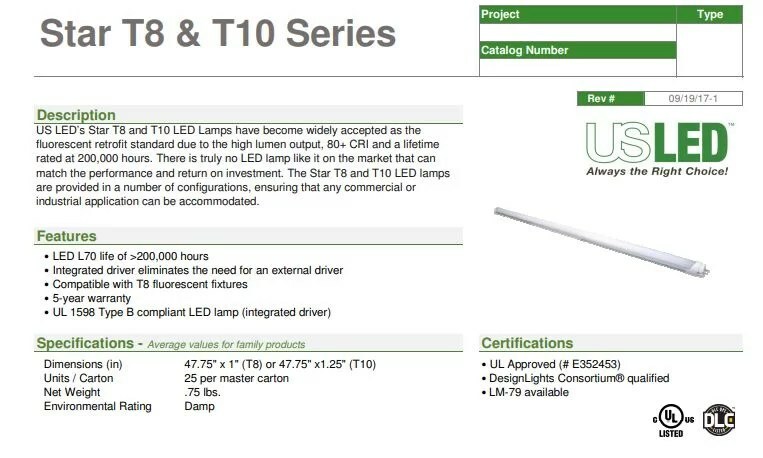 LED T8 tube lights have several advantages over their fluorescent counterparts. LED tubes can come with full dimming capabilities that do not affect the lifespan of the lamp. Fluorescent lamps that have dimming options, but these are typically more expensive and perform poorly. As previously mentioned, fluorescent lights require an initial high energy burst to turn them on. Occupancy sensors, motion sensors, and other controls can cause fluorescent lamps to burn our faster when integrated with systems that constantly turn them on and off. LEDs, on the other hand, can be perfectly integrated with control systems. Their lifespan is not affected by turning them on/off. 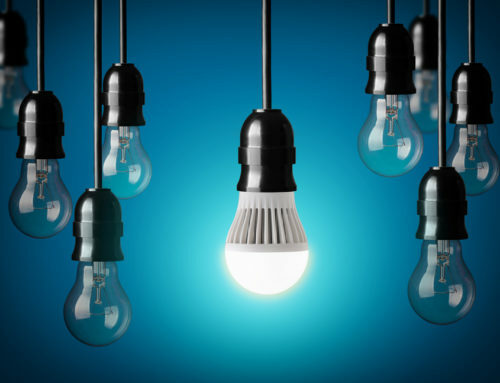 Unlike fluorescent lighting, LEDs are mercury free. This makes them safer to use. T8 LEDs are 30% more efficient, or more, than their fluorescent T8 tubes. 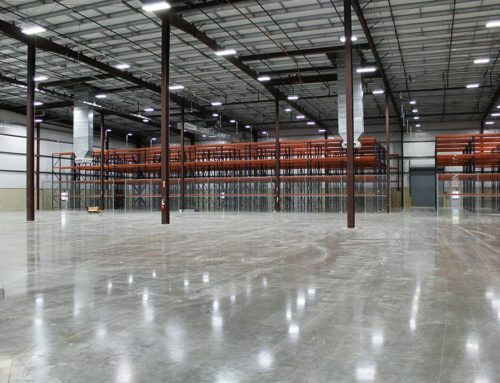 LED tubes require less energy to power without sacrificing brightness, lose less energy to hit (more energy for lighting) and readily combine with controls systems that can regulate on and off times when not in use. Our Star T8 LEDtube light has a lifespan of over 200,000 hours, while the fluorescent tube averages about 30,000 hours. 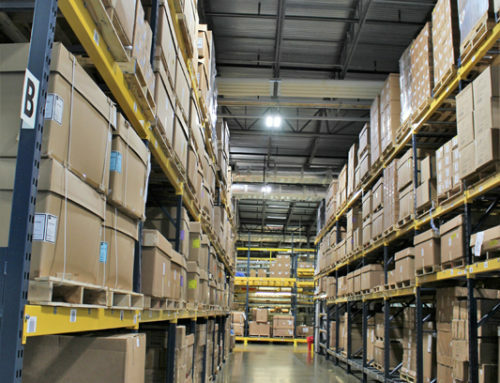 Retrofitting for T8 LED tube lights can bring numerous benefits to your business. LED Lighting of Houston, a National LED company, can provide a cost/benefit analysis for your retrofit project and help determine if making the switch is right for you. Give us a call for more information on our Star T8 tubes, or click the button below to get pricing now! 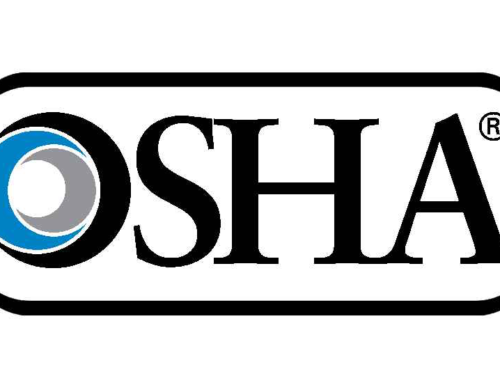 Are You Obeying The Law With Your Current Lighting Configuration?